For 54 years, Wolverhampton Bridge Club resided at 86 Tettenhall Road and became one of the most successful proprietary bridge clubs in the country. The following history was written by Jane Bodin, who purchased the house in 1988 and became the club's proprietor. She has recently sold the property and left Wolverhampton. 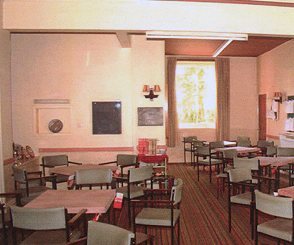 The club is now based at the Masonic Hall, Tettenhall Road. Bridge came to England in September 1894. A certain Lord Brougham had recently returned to London after living abroad and was dealing a hand of whist at London’s fashionable Portland Club. Instead of turning up the last card to determine trumps, he left it face down on his pack. He apologised, saying he thought he was playing bridge. Everyone wanted to know about this new game and under his tuition it was eagerly taken up. Within six months it had supplanted whist as "the best of games". The Portland Club, the foremost gentleman’s club of the day and recognised authority on card games, officially recognised bridge and the first official laws for the game were published in January 1895. The first textbook, "The Pocket Guide to Bridge", was published by Thomas de la Rue in London in 1894. In 1903 Auction bridge was developed, followed in 1925 by Contract Bridge, a refinement by Harold Stirling Vanderbilt. The first code of laws for Contract Bridge were issued in 1929 by the Portland Club. Today in the United Kingdom bridge is played by some 4 million people. In terms of participating sport (i.e. where you take part rather than just watch), bridge is second only to coarse fishing, so it really could be called our most popular indoor game. On 12 December 1894 John Thomas White, varnish maker, purchased the site from the Slade Hill Estate. Later on, the house on this site was to be the home of Wolverhampton Bridge Club for more than 50 years. By a strange coincidence, 1994 was the 100th anniversary of bridge. So while John White paced out his newly acquired land in Wolverhampton, the afore mentioned Lord Brougham had just come back from the continent with news of an exciting new card game. The 1894 deed of sale specified that any house erected should cost at least £600, or at least £1000 for a pair of buildings. All properties were to be no closer than 15 yards to Tettenhall Road. It also stipulated that no trade or business should be carried out except for a surgeon/dentist, solicitor, architect, accountant, civil engineer or land surveyor. Mr. Pearson took out a mortgage for £1400 and built a large detached "gentleman’s residence" known as "Drayton House". In the deeds he is described as a bank manager, while the 1902 census lists him as a pawnbroker! By 1910 the house had become "Sunnyside" and was sold to another bank manager, Jesse Millington, with a value of £1700. 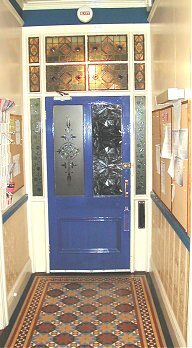 Part of the entrance hall with original Minton tiles and stained glass lights above the front door. The Queen Street auctioneers Keysell and Clibbery described the property as having a tiled hall, lavatory, drawing room, study, dining room with conservatory, two kitchens and a china pantry. a chiropodist, John Benjamin Windridge, and later by a Mrs. Till. In November 1948 the building was purchased by Mrs. D. M. (Doll) Hallett and Mr Derek Roy Gordon Smith. Later on, Mrs. Hallett took on the whole property. They were granted planning permission for a change from residential to club use with such use not to be continued later than 11.00 pm on any day. 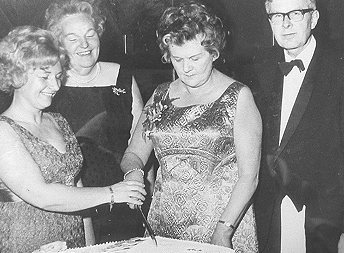 Cutting the cake at the Bridge Club's 21st anniversary, which was held at the Mount Hotel in 1971. Betty Hunt, Pam Lloyd, Doll Hallett (the founder) and Frank Lloyd. Peter and Mary Tottenham. Proprietors from 1970 to 1988. It is Doll Hallett we are to thank for starting Wolverhampton Bridge Club. Widowed in the late 1940’s, she was an excellent player and decided that Wolverhampton should have a club of its own. The club officially started on 3 December 1948, originally operating on just part of the ground floor, with table money of 6d (2.5p). In 1967 additional accommodation was built on the east side to provide living accommodation for Mrs. Hallett and her family. It is unusual to have a privately owned bridge club run for profit. However, its success has been achieved only by the support of the members as a whole. The club prospered. 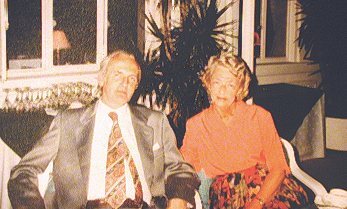 After Doll married William Lovell in 1970 the club and building were sold to Peter and Mary Tottenham. 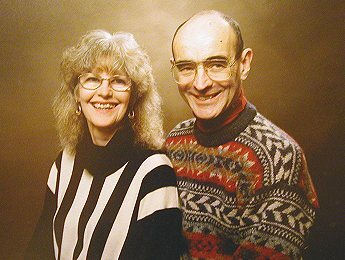 Jane Bodin and her partner Michael Williams. Part of the bridge club. 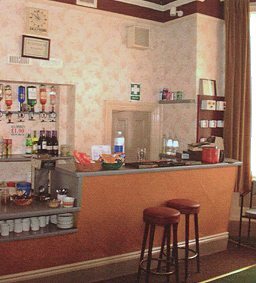 For many years, the club functioned on the ground floor with the upstairs accommodation divided into bed sits. In 1983 the three magnificent copper beech trees on the front boundary were protected by a tree preservation order. On 28th September 1988 club and building were purchased by Jane Bodin. For Jane, this was very much coming back to her roots as she was brought up in West Hagley and went to Stourbridge Girls High School. 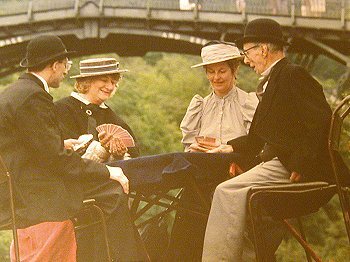 This photograph was taken in 1994 at Ironbridge. It shows part of the centenary celebrations of bridge in England. David Moir, Margaret Revell, Jane Bodin, and Ralph Spate. A view of the Lincrusta wall coverings in the hall. Under Jane's stewardship it became one of the most successful proprietary bridge clubs in the UK, with a membership of 250 and a full programme for five or six evenings and three afternoons a week. It became very strong on teaching and also fostering newcomers to the game. The upstairs accommodation was turned back into a private home, retaining many of the original features. 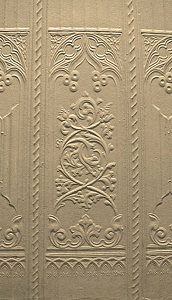 These include Lincrusta wall coverings on the hall, stairs and landing, original skirting boards and mouldings, and magnificent Victorian fireplaces. 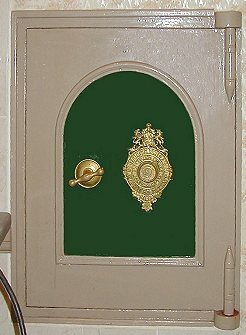 Evidence of the system of bells to summon servants can be found in the attics. In 2001 Jane wanted to retire due to ill health. Such had been the effect of inflation on property prices that it was impossible to find a buyer who wanted to continue to use the building as a bridge club. Rather than see the club die after 53 years, Jane gifted the name, goodwill and and some £6,000 worth of bridge equipment to the members, who have set up a new non- profit making members club. 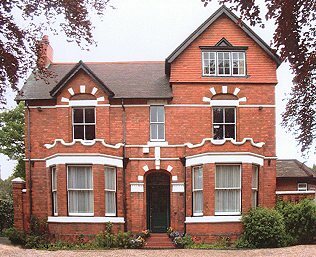 In October 2002 the club moved to new premises at the Masonic Hall in Tettenhall Road. In November 2002 the property was sold to Mr. Lek Mall, who has applied for planning permission to turn the ground floor into accountant offices – one of the uses originally envisaged by the Slade Hill Estate. In the bar is this superb George Price safe, which was made at Cleveland Works, Wolverhampton.